September is upon us and that means fall is right around the corner – probably my favorite of the seasons. It’s not quite cold, but not blazing hot and all the food is colorful and tasty. What to Eat in September – If you have a hard time finding things to eat that are fresh and delicious this time of year, then I don’t really know what to tell you. Here are some things that will be especially delicious in the upcoming month though. Apples – At least once a year, I try to go out apple picking to a local farm. 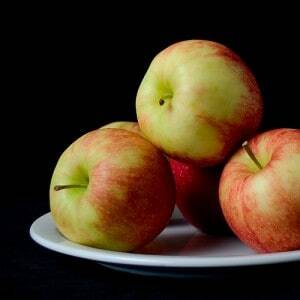 It’s a great excuse to get out of the city for a day and I end up with pounds and pounds of perfect apples which I use in all kinds of recipes. Breakfast Apples with French Toast Crust – A very inventive breakfast dish by Tyler Florence that I made a few months ago. Kale – Kale is in my top five veggies of 2009 I think. I haven’t posted on it that much but it has basically become my replacement for spinach in stir-fries and quick easy meals. Calamari and Kale with Sticky Rice – A simple dish that is healthy and flavorful. Figs – Ok. So even though these are in season, they may still be a bit hard for you to find. Figs go from perfect to BLAH really quickly so if you can find them and they are perfect, you have no excuse not to try them because they are so good. Fig Tart – This was a kind of experimental recipe I made a few weeks ago that ended up being great. 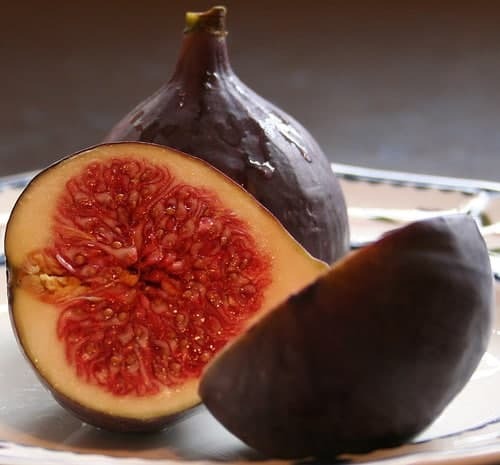 You know what though, you could just eat figs without doing anything to them. They are so delicious. Green Beans – Okay. So in stark contrast to figs, this is something that everyone should be able to find. All different kinds of beans (green beans, long beans, etc.) are in full sprout this time of year. There are also a few holidays worth noting in September. Labor Day (Sept. 7th) I think this is maybe the last official grill holiday. I’ve posted some pretty solid grill recipes this summer. I’d recommend some Sante Fe burgers definitely, but if you only need to make one grilled thing, make this roasted pepper salsa. One of the best I’ve ever made if I do say so myself. Have a good September everyone! Photos by Xerones and Ivan Makarov. I can't remember if I left you an comment yet – I've been leaving them around food bloggerspace. Just wanted to make sure you know about the food blogger happy hour, September 2 at Poste. Hope you will come. I love both apples & kale – no wonder I love fall. Can I put in a request? I used to make this really delicious ham & kale soup all the time, I got the recipe memorized and lost it, and now I can't remember it. I'm looking for a substitute. Got any ideas for a lovely yummy comforting kale soup? Been lurking for a while, but had to chime in when I saw what you posted about kale. Completely agree with you, it is my go-to vegetable for meals now. I usually use the Mark Bittman double-garlic recipe, though Orangette had a great post last year on boiled kale with an olive oil-fried egg that tasted way better than the description would make you think. (I recommend that as inspiration for kale soup, by the way). Anyway, love your posts, the clam linguine is on my list. Great compilation. That Sante Fe burger looks and reads like a dynamic burger. The cheese, pepper and blue corn chips, yum! I also want to try the fried green beans.